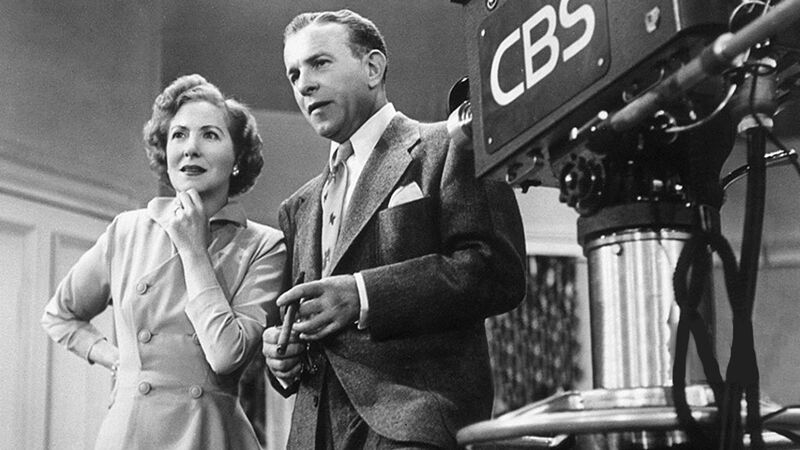 Here's where to watch every episode of The George Burns and Gracie Allen Show season 1. Mouseover or tap an episode to see where to stream it. Click or tap the play icon to stream it on the best available service. The Kleebob Card Game Oct 12, 1950 In the opening episode, Gracie and Blanche want to go to the movies and George and Harry want to go to the fights. George tries to trick Gracie with a made-up card game called ""Kleebob"". Gracie the Artist Oct 26, 1950 After going to an art museum, Gracie believes she can become a great artist. She begins her art career by painting a portrait of George. The Property Tax Assessor Nov 9, 1950 George Burns delivers a monologue on how he met Gracie while she bollixes the tax assessor and frustrates George and Harry with their football knowledge. Harry Morton's Private Secretary Nov 23, 1950 When Harry Morton hires a new secretary, Blanch and Gracie suspect that he has hired a beautiful girl. Meanwhile, a pretty high school student drops by the Burns home to interview George for her high school newspaper, Blanche and Gracie assume that the girl is the person Harry just hired. Gracie's Checking Account Dec 7, 1950 Gracie returns George's Xmas gifts before he has seen them because he always exchanges them anyway. The banker, Mr. Vanderlip has a talk with the Burnses about Gracie's odd check writing system. Gracie's Christmas Dec 21, 1950 At Christmas, Gracie tells about the Christmases she had as a child. Rhumba Lessons Dec 28, 1950 George and Harry need dancing instruction, but don't want it. Happy Hmm-Hmm Jan 4, 1951 Looking at the calendar, Gracie finds that a date has been circled. But why? To Go or Not to Go Jan 18, 1951 George and Harry Morton want to go duck hunting, but Gracie and Blanche want to go to Palm Springs. St. Bernard Feb 1, 1951 Gracie finds a stray St. Bernard dog so she brings him home. She tries to teach him tricks, such as how to fetch George's golf clubs which displeases George. Live Show #11 Feb 15, 1951 When Blanche discovers that Harry has been holding out money from his paycheck to go to the racetrack, she leaves him and stays with the Burnses. The Income Tax Man Mar 1, 1951 The income tax man gets frustrated trying to understand Gracie's tax deductions. Live Show #13 Mar 15, 1951 The Vanderlips are having a dinner party, but have not invited Blanche and Harry. Live Show #14 Mar 29, 1951 Gracie witnesses an car accident that involves gangster Johnny Velvet. Velvet and his attorney try to intimidate Gracie into testifying in his favor. George is Sick Apr 12, 1951 George is sick. People keep bringing him food to help him gain strength and recover. Teenage Girl Spends the Weekend Apr 26, 1951 Emily Vanderlip stays with the Burnses while her parents are out of town and Gracie tries to help her with her schoolwork. Live Show #17 May 10, 1951 Harry Morton sells a lot in the neighborhood to some out-of-state people. Too Much of the Mortons May 24, 1951 The Vanderlips plan a costume party. To get ideas on costumes, Gracie goes to a travel agency to look at the photos in the brochures. Live Show #19 Jun 7, 1951 Gracie's old school friend Mamie Kelly visits the Burnses. Live Show #20 Jun 21, 1951 Harry Morton would rather go fishing than visit Blanche's mother. Too Much of the Mortons Jul 5, 1951 George comes to the conclusion that he and Gracie are seeing too much of the Mortons. He devises a plan to trick Blanche and Harry to go out of town for the weekend so he and Gracie can use the Mortons' pool by themselves. Complications ensue. Live Show #22 Jul 19, 1951 Gangster Silky Thompson wants to move into George and Gracies's neighborhood. Gracie's Vegetarian Plot Aug 2, 1951 Gracie and Blanche read a diet book. They invite the author to speak at the meeting of their club, the Beverly Hills Uplifters Society. Gracie and Blanche are so inspired by the speech that they serve their husbands nothing but vegetables. Space Patrol Kids Visit Aug 16, 1951 Trouble starts when Mamie Kelly and her three children park their trailer in the Burns backyard. Live Show #25 Aug 30, 1951 Gracie gets into trouble ordering appliances from a real-estate client of Harry Morton. Gracie Prepares a Wedding Sep 13, 1951 Gracie invites problems by holding a home wedding.